Taos Ski Valley is a world class resort located 30 minutes from the town of Taos. The Taos Ski Valley has had several years of positive changes that we are excited about!! Moore Capital Management founder Louis Bacon has bought the Ski Valley for an undisclosed amount of money. But, he has revealed that he will be investing $350,000,000 in improvements within the Taos Ski Valley. This significant investment will improve one of the most beautiful & recognized ski areas in the world. Recently, TSV opened Kachina Peak with a chair lift, once only accessible by hiking is now accessible to anyone who rides the lift up reaching 12,450 feet to the peak. The new lift is one of the highest lifts in North America. Taos Properties recommends visiting Taos Ski Valley website to plan your trip! You can also go to the Chamber of Commerce website. 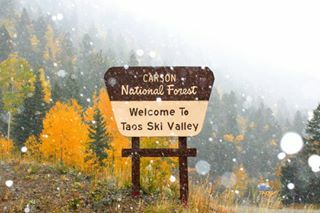 You can find out what improvements are planned here http://www.vtsv.org/village-government/village-master-plan/.The great news for Real Estate investors is; if you own property in the Taos Ski Valley there is a strong possibility that your values will slowly improve over time. If you are thinking of buying real estate in or around the ski valley there are still opportunities for some “deals” and well-priced condos, homes or vacant land within the area. John Cancro, who is an expert in real estate as well as on the slopes, can help you navigate through the new and exciting terrain of Taos!! The Village of Taos Ski Valley offers their residents a variety of services that will make living at TSV more enjoyable. With the increased activity in the Taos Ski Valley now is the perfect time to make your investment. Purchase a vacation home or condominium at the TSV for your personal use and if you desire, rent out for additional income throughout the year. There is a multiplicity of properties in a variety of price ranges to choose from. Our agents can help you find the right home while helping you become acquainted with mountain and ski town. your dream home in the mountains.